Aspiring Everest climber Hari Budha Magar, a former Gurkha soldier who lost both his legs when he was deployed in Afghanistan, said the ban was discriminatory. 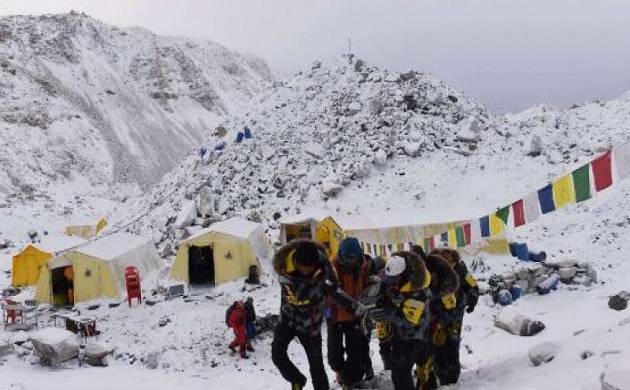 Nepal has banned solo climbers from scaling its mountains, including Mount Everest, in a bid to reduce accidents, an official said today. The cabinet on Friday endorsed a revision to the Himalayan nation’s mountaineering regulations, banning solo climbers from its mountains—one of a string of measures being flagged ahead of the 2018 spring climbing season. “The changes have barred solo expeditions, which were allowed before,” Maheshwor Neupane, secretary at the Ministry of Culture, Tourism and Civil Aviation, told AFP. Neupane said that the law was revised to make mountaineering safer and decrease deaths. Experienced Swiss climber Ueli Steck lost his life in April this year when he slipped and fell from a steep ridge during a solo acclimatisation climb to Nuptse, a peak neighbouring Everest. The ban is likely to anger elite solo mountaineers, who enjoy the challenge of climbing alone, even eschewing bottled oxygen, and who blame a huge influx of commercial expeditions for creating potentially deadly bottlenecks on the world’s tallest peak. The cabinet also endorsed a ban on double amputee and blind climbers, although Everest has drawn multitudes of mountaineers wanting to overcome their disabilities and achieve the formidable feat. New Zealander Mark Inglis, who lost both his legs to frostbite, became the first double amputee to reach the top of the 8,848-metre (29,029-foot) peak in 2006. Blind American Erik Weihenmayer scaled Everest in May 2001 and later became the only visually-impaired person to summit the highest peaks on all seven continents. “If the cabinet passes, this is #Discrimination against disable people, breaking #HumanRights,” Magar said in a Facebook post after the decision was proposed early this month. Thousands of mountaineers flock to Nepal—home to eight of the world’s 14 peaks over 8,000 metres—each spring and autumn when clear weather provides good climbing conditions. Almost 450 climbers -- 190 foreigners and 259 Nepalis— reached the summit of Everest from the south side in Nepal last year.